I’m sorry that i was so quite the last few weeks. There was a lot to do. Furthermore I tried to enjoy the sun as often as possible 😉 But I’ll still try it hard to post more frequently. A lot of Cmdlets need the right credentials to perform a action. Especially with W2008R2 and the AD-Cmdlets or with Exchange 2010 this is handy. So you can either type your username/password every time, or just save it to a variable. 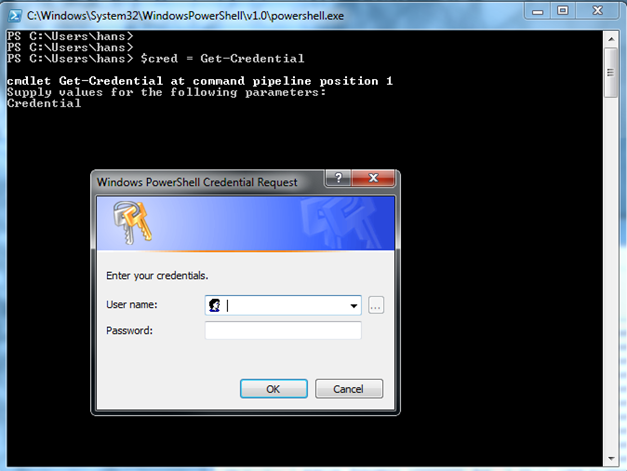 You can also fill the prompt with a username by using “Get-Credential <Username>”. This is maybe helpful when using that in a script. You can also use this Pop-Up Mechanism directly in a command. Check the Exchange Directory (Schema) version.